When winter arrives it brings with it a time of great fasting. It is a time of darkness, and of dying, which is in preparation for the re-birth that arrives in the spring. Now, pardon me as I once again fall back on Cherokee ritual, and beliefs, to express some aspect of this season that we are entering, but you see, a story struck my mind and spoke to me as I contemplated on the cold. To begin, there are three moons of winter. Snow Moon (Usgiyi), Cold Moon (Unolvtani), and Bony Moon (Kagali). The Snow Moon corresponds with our month of December, and it is a time for putting away and storing up. It is ushered in by the snow man, who blankets the high places in snow while the earth rests until the re-birth of the new seasons. The Cold Moon is a time when the fires that burned throughout the year are extinguished and re-lit in correspondence with the first appearance of the sun’s daughter, or the Morning Star / Venus as we know it. And Bony Moon is a time to prepare a feast for those that departed this world, and to tell stories of them. It is also a time for fasting and observance. Throughout these cold winter moons the Cherokee people prepared their tools for the oncoming warm seasons, and the elders told stories throughout the long waiting of the cold dark months. In the book 13 Moons, by Charles Frazier, the main character is a young boy and newcomer to the Cherokee Nation, in the time before the Cherokee were forced west. He is taken up by a mentor, Bear, and Bear keeps a winter house. The winter house is a small clapboard structure insulated with mud, not big enough to walk upright in, and lined with small bunks made of river cane mattressed with hides. At the far end of the structure is a smoke hole and a small hearth. “Bear claimed there were old men and women he knew as a child who practiced a deep form of winter sleep and could den up nearly as long as anything else. Those old ones would not eat or drink or dream or even rise from slumber to piss for nearly three months. But now the exact art of it was lost, like knapping flint into knife blades sharp enough to shave the hair on your arms. And so the two spend their winters in a state of fasting, and of continuously drifting between sleep and the stories that they tell each other. As they told stories the inevitable theme of man’s fragility and his place in the world arose. How could it not, when the winter world surrounding them was seemingly void of life, dark, and bitter? "An interesting fact…Bear stated… that the deer has just enough brains to cure its own hide. No more, no less." The deer has just enough brains to cure its own hide. No more, no less. For myself the winter moons contain a duality of notions. On one hand, it is a reminder of how out of sync we are with the natural world around us. We can no longer den ourselves up, close our eyes with the gray bare trees and succumb to the deep sleep cast down on creation by the snow man. But on the other hand, we have evolved to guard ourselves against the cold by storing up wood for our stoves and provisions for our pantries for when creation ceases to give up her crop. Instead of hibernation and dreamless sleep, we are called to suffer the cold and yield to our own humanity. Unfortunately, we have become too well adapted. We move from house to car to work, guarded against the elements in our woolen garments, then likewise, transition back from work to car to house, and hole up in our den in our own modern form of hibernation. However, when we do break from our dens and go out into the wintery world and go up into the snow-covered mountains, forcing ourselves to adhere to their great silence, we often discover a rather different world and a rather different beauty. In the winterhouse Bear tells the story of the grief he suffered after his first wife, Wild Hemp, was murdered by white raiders during the Revolutionary War. The ghost of his wife beckoned him to follow her into the night land, and he nearly went. However, he resisted her pull by going to the water everyday, and there he immersed himself in the cold mountain streams. “He went even when big wet snowflakes fell all around him and disappeared into the black water without making even a brief dimple in its smooth face.” The story tells us that at first Bear suffered the cold, but as the seasons marked on and he watched the trout come to drift into the current waiting for food, and, too, witness the summer storms ride down the valleys, and the autumn leaves turn red and yellow dropping from the overhanging branches and float along, and as the cold of the stream turned his fingers and toenails blue he gradually synchronized himself with the natural world of the present and came to terms with his dead love. In this season of winter it is my hope that many will gather round the warmth of winter fires, that you will tell the old time stories with family, prepare for the re-birth of spring, but that you will not shield yourself too often from the cold, but will at times, like Bear bathing in the cold springs, will open yourself to its cleansing. I hope you do not fear winter, but actively defy it by getting out into it and immersing yourself in what it has to teach you. Here is a story for you to share this winter. Just click on the pages below to scroll through the Jack Tale. · Gear is everything! Be sure you are properly prepared with quality gear. Plan on carrying more clothing, a thicker sleeping bag, more food, and nearly twice as much fuel as you would expect to carry in warmer weather. Most recommend a pack size of 4,000 cubic inches to accommodate your gear. · Take your time. Winter backpacking is slower. Whether it is heating up your morning coffee, setting up your camp, or covering miles, plan on slowing down. You are not going to meet your usual average daily miles. Whether it is due to hiking on frozen or snow covered terrain, or due to the extra time in camp, don’t get ambitious on planning your itinerary. Regardless, slowing down helps you enjoy the time you have set aside to take in the woods. · Stay Dry! Staying dry is always a challenge when backpacking. In the summertime in the southern Appalachians one will always count on being wet, either from the rain, or from sweat. Most will hike in one set of synthetic clothes, and at camp change into another clean dry set. This is even more important for the winter. If you are breaking a sweat on the trail in the winter, then re-evaluate. You should either strip down a layer, or slow down. Unlike the summer, in the winter wet clothes may never dry back out. · Stay warm in your sleep. If nothing else you should be able to rely on a clean, warm, dry sleeping situation. Carry a good winter graded sleeping mat to provide insulation from the ground. The cold ground will rob your heat if you are not prepared. If you find yourself still struggling with a cold night sleep try boiling water and filling a Nalgene with the warm water and putting it in your back for warmth. · As always, let some one know your itinerary, and when they can expect to hear from you! "In the beginning there was no fire, and the world was cold, until Thunders, who lived up in Galunlati (the sky vault, or heavens, where the first animals came from), sent their lightning and put fire into the bottom of a hollow sycamore tree which grew on the island. The animals knew it was there, because they could see the smoke coming out at the top, but they could not get to it on account of the water, so they held a council to decide what to do. This was a long time ago." A while ago, amid the summer chatter of robins and jays, a conversation began in the woods. Those who conversed did not know that they were in the very act of creation, that they were forming an idea, and that the idea was much like a seedling. The conversation was a vision of the future of the Montreat wilderness. In a great sense, this newsletter is the act of planting that seed, and it is our hope that these ideas will germinate, and that the wilderness will enter into a new time of growth as new stewards step up to maintain her. There is a history that should be recognized, that this publication once circulated among an old guard of trail club members who once labored to place 2,500 acres of wilderness into a Conservation Easement, so that it might be preserved for future generations. Then, over time, both newsletter and trail club slowly faded away. Many of those original trail club members are still roaming the woods and are here among us, and their knowledge of the history of the Montreat Valley is essential to our movement forward. And so this publication may serve to bridge the generations, and credit is due to them for the support and advice they have added to the conversation. The conversation has been one of philosophies, and how these philosophies of conservation will guide us in providing access to the wilderness, for all to come and partake from its beauty, without interfering with what makes the wilderness wild. In a great sense we are still in that conversation, and will be for as long as we are the caretakers of the forests and mountains, not forgetting that they in return care for us. We invite you into the conversation. And we invite you to become a steward of the 4,000 acres and 26 miles of trails that the Montreat Wilderness offers. It would be our understanding that by seeking out this reading, and that because of your interest here, that the Montreat Wilderness is to some degree sacred to you. In whatever way, and to whatever level you chose to become involved is yours to decide, and any contribution is equally welcome. We look forward to moving into service and community with you. In the future editions to come, this quarterly newsletter will serve as a marker to the progress being made in the Montreat Wilderness, to announce upcoming events, as well as to further the conversation of those committed to the betterment of our wild places. We welcome any contributions of art, photography, poetry, writings, and editorials. Artists Needed: We are looking for a penciled / charcoal sketch of a wanderer. Photographers: We are welcoming photography submissions to add to the gallery of the Montreat Trail Club website, and to be published in the quarterly newsletter. Writers wanted: Do you have a favorite quote, poem, or vignette for the summer publication. Do you have an original writing piece to contribute? We are looking for an observation of summertime in the wilderness for the summer quarterly. To establish a community of service and Community built upon a common respect and interest in the Montreat Wilderness. The Montreat Trail Club will seek to serve the wilderness through the maintaining of the system of trails, while preserving her environment, structures, scenic overlooks, and historic sites therein. 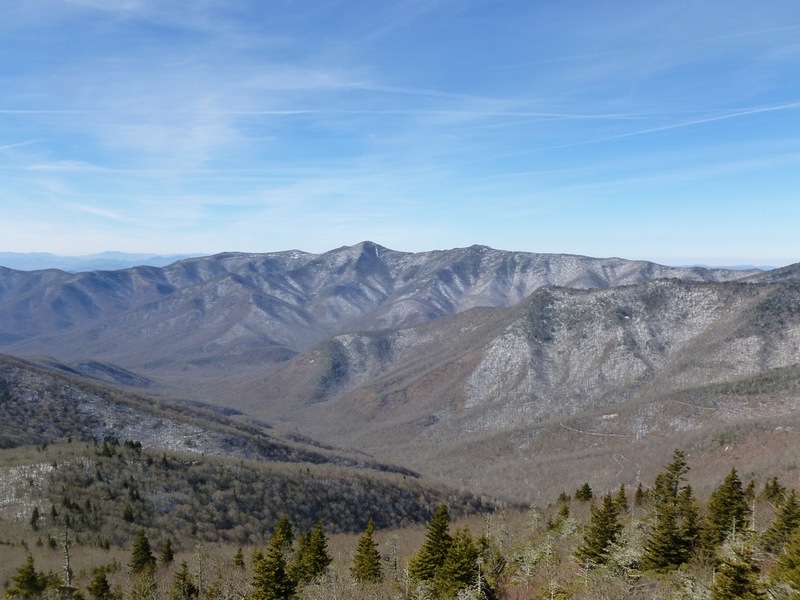 The Trail Club will provide a venue for wilderness education, and will seek to become a positive presence in the wilderness area while representing the Mountain Retreat Association and The Southern Appalachian Highlands Conservancy.